Middlesex, NJ elderly residents in need of rehabilitation, social work assistance or daytime senior care should have their family members or caregivers get in touch with South Amboy Adult Health Care Center. The center offers expert and professional care for seniors who are living with serious health conditions such as Alzheimer’s or Dementia. Seniors who visit the center are treated to a personalized daily plan that focuses on their most important needs. The care and support received by the clients enforces a healthier and happier lifestyle for each client involved. What many people may not realize is the Health Care Center is not a nursing home or institution. It is a type of day care for seniors where they can receive medical assistance and socialize with others. The center is open for clients Sunday through Friday, six days a week. Seniors who receive Medicaid may go to the center five days a week, while private pay clients may attend any day the center is open. The daily care that clients receive includes a personalized holistic treatment plan created by a registered nurse. An RN is assigned to each client, who works closely with the senior’s primary care physician to ensure they receive the optimal amount of care. The health care plan is designed to look out for any new medical conditions while resolving or treating any current issues the client may have. This is done through ongoing monitoring and specialized care that the clients receive all throughout the day. 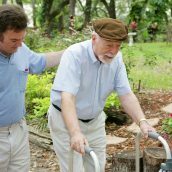 Some of the senior care programs which are offered at South Amboy Adult Day Health Care Center include nursing and geriatric care, memory care, and physical therapy. Family members and caregivers can also receive respite care while they are at work or running errands. The type of senior care and support that clients can expect from South Amboy Adult Day Health Care Center include caring for skin ulcers and wounds, speech and physical therapy, and brain-stimulating activities. Seniors also receive assistance from social workers, diabetes management, blood pressure monitoring, and safe transport to appointments and local activities. The staff members at South Amboy Adult Day Care are dedicated to providing top-rated health services to the members of the Middlesex, NJ community. Thanks to the center’s health and wellness programs, more seniors can stay active and healthy within the community they love all without being placed inside an institution. The services provided by South Amboy’s caregivers help keep local seniors in good spirits while they improve their health and emotional well-being.